Globe juices up its GoUNLI25 prepaid promo with unlimited Viber texts and calls. On top of the bundled unlimited calls and texts to Globe/TM, the Ayala-led company offers the service of this widely-received messaging app over their network (no data charges and WiFi connection needed). 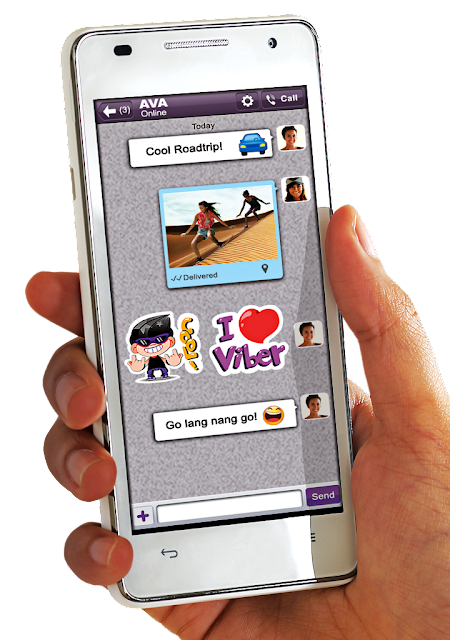 Viber is a mobile application that allows users to call, text, and send photos to each other, wherever they are in the world. With Viber, no registration, alias, or invitations are required. The app also instantly integrates with the user’s own contact list. GoUNLI25 is also available in longer validity options such as the 3-day variant for P67, 7-day variant for P150, and 30-day variant for P600. To register, subscribers can dial *143# and choose GoSAKTO. They may also register by sending GOUNLI25 to 8888. GoUNLI25 joins GoSAKTO in the telco’s roster of innovative offers and promos for its prepaid subscriber base. Launched in February this year, GoSAKTO lets prepaid subscribers create their own prepaid promo and choose the type and number of calls, texts and data they need for the day, week, or month, based on their needs, budget, and lifestyle. The promo helped drive the acquisition of over half-a-million new Globe Prepaid subscribers in the first quarter of the year, up 32% and 71% from last year and last quarter, respectively.